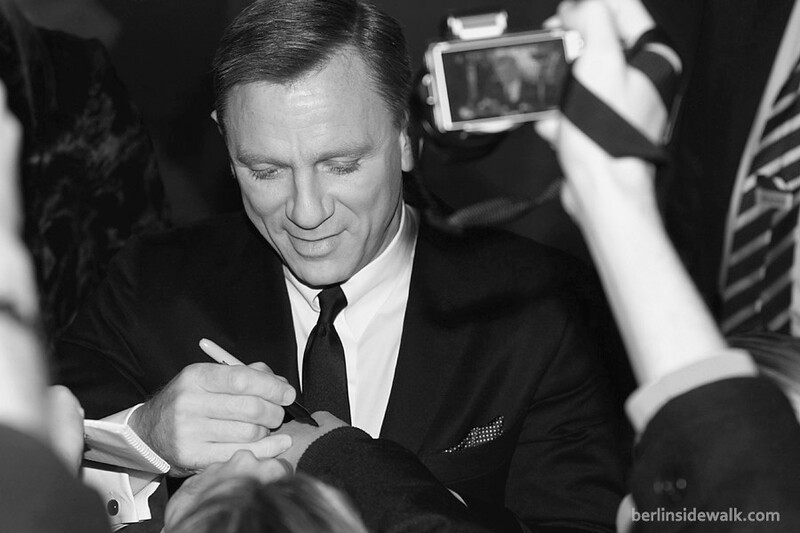 The German Premiere of Skyfall, the newest Movie of the James Bond franchise, took place yesterday, Tuesday 30th, at the Potsdamer Platz Theater in Berlin with James Bond actor Daniel Craig, bond girl Bérénice Marlohe, director Sam Mendes and producer Barbara Broccoli. 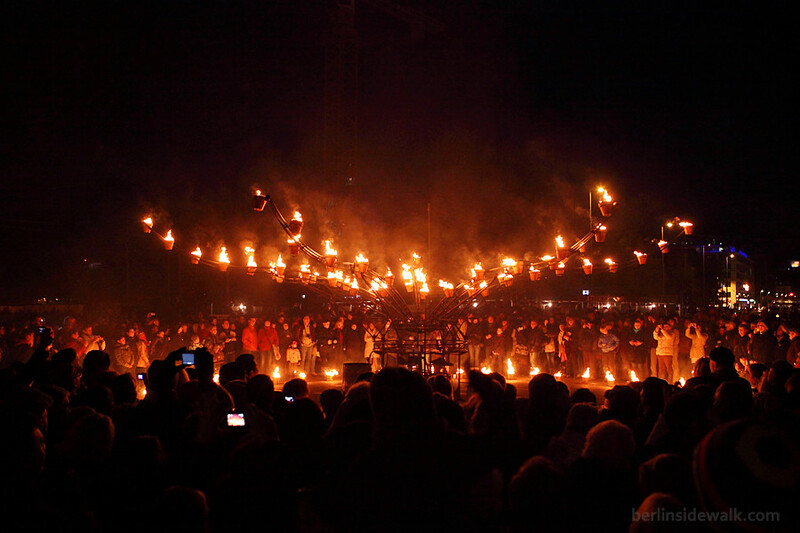 Inspired by medieval visions of afterlife, the Titanick Theatre Collective had set up 13 individual situations and scenes, an adequate description of how the observer feels when they enter into this dream world, between the Neptun Fountain and the Television Tower. It was weird but interesting and entertaining, it felt like they combined the Anniversary and Halloween into one single celebration, with success. The Checkpoint Charlie is one of Berlin’s most famous landmarks, which served as the only crossing point for diplomats, journalists and non-German visitors, between East Berlin and West Berlin during the Cold War, from the construction of the Berlin Wall in 1961 till the fall on November 9, 1989. In October 1961, US and Soviet tanks had a close encounter because of a dispute over whether East German guards were authorized to examine the travel documents of a U.S. diplomat passing through to East Berlin, both sides tanks faced each other in an acrimonious moment feared around the World as a possible lead up to World War III. 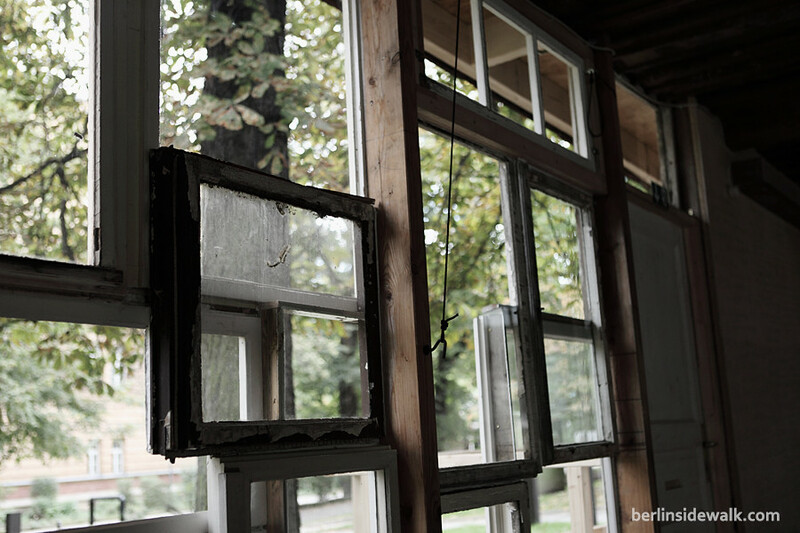 Today, it is a must see sight in Berlin with huge historical and emotional resonance, even accounting for the fact that there is remarkably little left to recall the atmosphere of pre-1989 days. 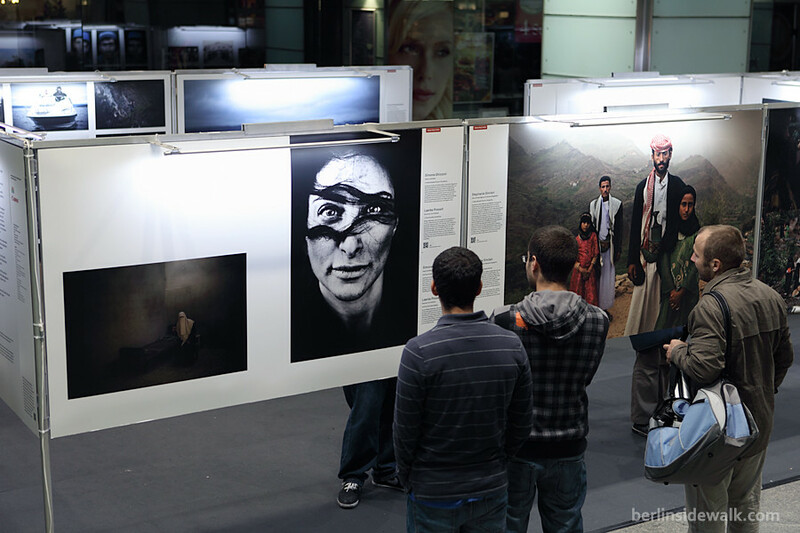 The World Press Photo 2012 Exhibition is being held right now at Berlin Friedrichstraße Station until the 22nd of October. The Exhibition contains over 150 pictures from all over the world, events that happened in 2011. The winners were selected from over 100,000 images submitted to the contest and all the prize-winning photographs are assembled into an exhibition that travels to 45 countries over the course of a year. A PBC Tron Bike was placed at the Potsdamer Platz Arkaden in Berlin during this years Festival of Lights and will remain there until the 21st of October. 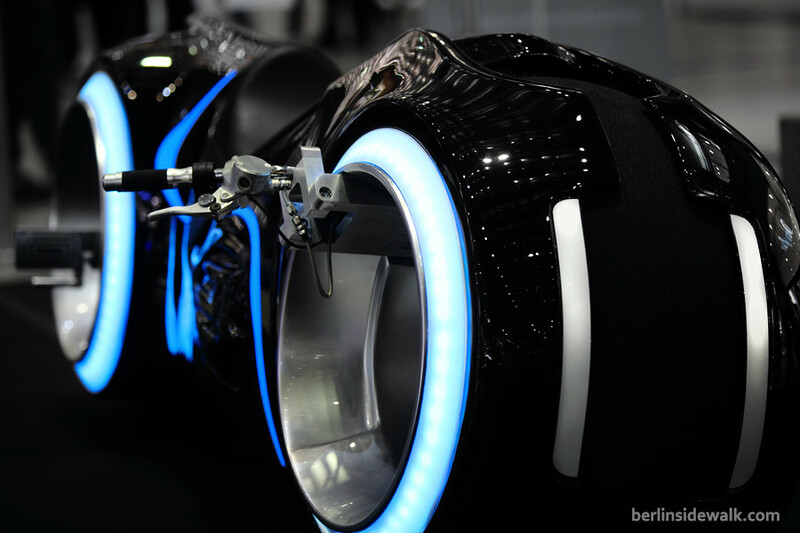 The reason behind this is that the eBikes which were used during the Light Cycle Chase in Disney’s TRON: Legacy were designed by a German car designer, in fact, a car designer from Berlin and of course, the luminous futuristic design fits the current theme of Berlin. The eBike, which is limited to only 10 pieces worldwide, is fully functional and was build in over 2.500 production hours. It uses an Apple iPad 3 as a controller and can reach a maximum speed of 200 km/h. A mobile garden house, created by the Japanese architect Kyohei Sakaguchi, in front of the Haus der Berliner Festspiele, serves as a stage for the Italian pianist and conductor Marino Formenti, as part of the Foreign Affairs Festival 2012. The Project called “Nowhere” which Formenti describes as “A kind of pagan chapel where life and music can become one” is an experiment where boundaries between time and space become blurred, allowing the artist to reflect on music and rediscover wonder through repetition. Formenti, right now, lives in this house till Saturday October 20th, 2012 and he plays a song every few minutes daily from 11am – 11pm. Everyone is invited to go in and listen to the music, whether for 5 minutes or 5 hours. 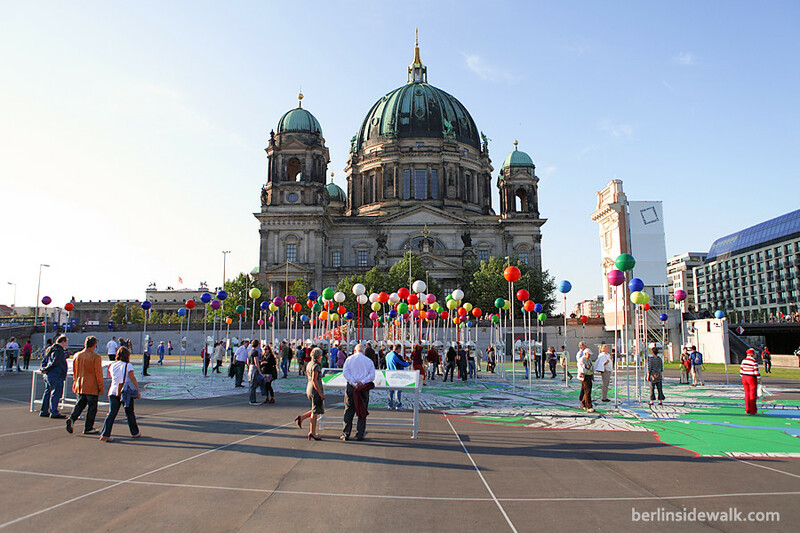 The City of Berlin created a huge, walkable city map which presents the Berlin of today, as part of the upcoming festivities of the 775th anniversary of Berlin which will take place on October 28th. The map is covered with huge colored pins, each one of them telling a story about the places they are stuck into and visitors can read about events happened there during the last 775 years. 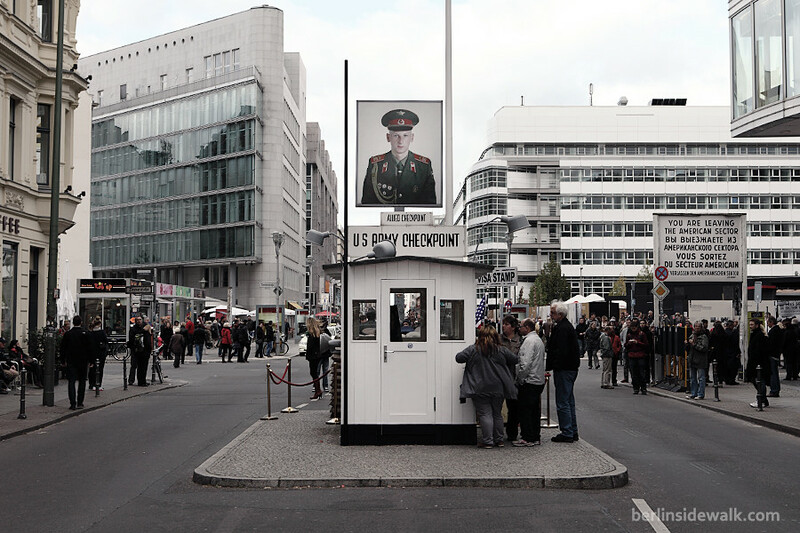 The open-air exhibition called City of Diversity can be found on Schlossplatz in Berlin Mitte right beside the Humboldt Box where the new Stadtschloss (called Humboldt Forum) will arise in future.